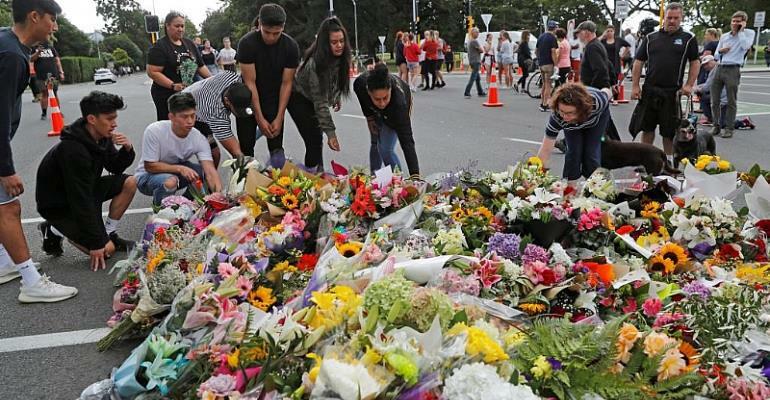 A Syrian refugee and his son have been buried in New Zealand in the first funerals of those killed in two attacks on mosques on Friday. Khalid Mustafa leaves behind a wife, a daughter and another son, who was wounded in the shootings. Six burials took place on Wednesday after investigations delayed the handover of bodies, preventing the speedy burials prescribed under Islam. An Australian white supremacist, Brenton Tarrant, is accused of gunning down 50 Muslim worshippers and wounding many more at two mosques in the city of Christchurch. Meanwhile Australian Prime Minister Scott Morrison has condemned what he called "highly offensive" comments by Turkish President Recep Tayyip Erdogan. Erdogan presented the New Zealand attack as part of an assault on Turkey and Islam and he declared that anti-Muslim Australians would be "sent back in coffins" like their grandfathers at Gallipoli. The Turkish coastal town was the site of a World War I battle in which thousands of Australian and New Zealand soldiers were killed. Australian Prime Minister Scott Morrison has asked Erdogan to withdraw his comments.